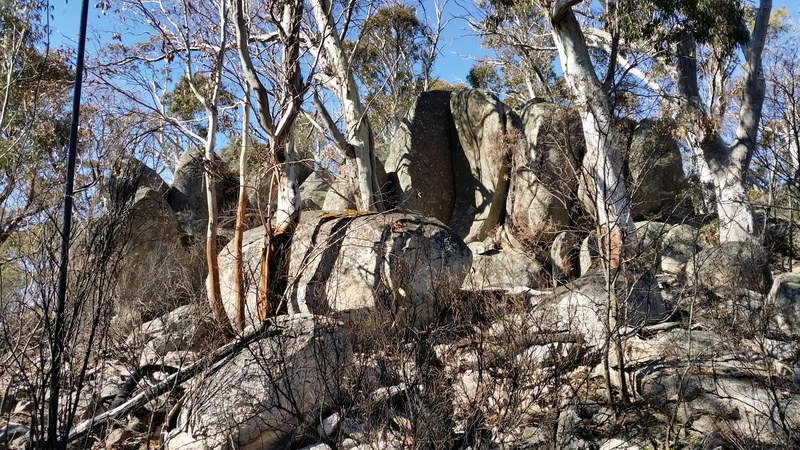 Possible Summit to Summit contacts: Al VK1RX and Andrew VK1MBE have plans for a joint activate of Booroomba Rocks VK1/AC-026. 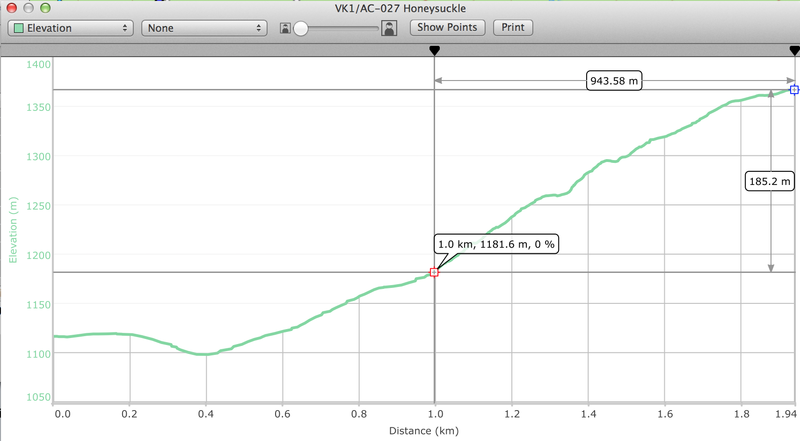 Tony VK1VIC has plans to activate Livingstone Hill VK2/SM-093. Weather on the summit: 6 to 9 degrees C (42 to 48 F), sunny day with light winds. Leg 2. 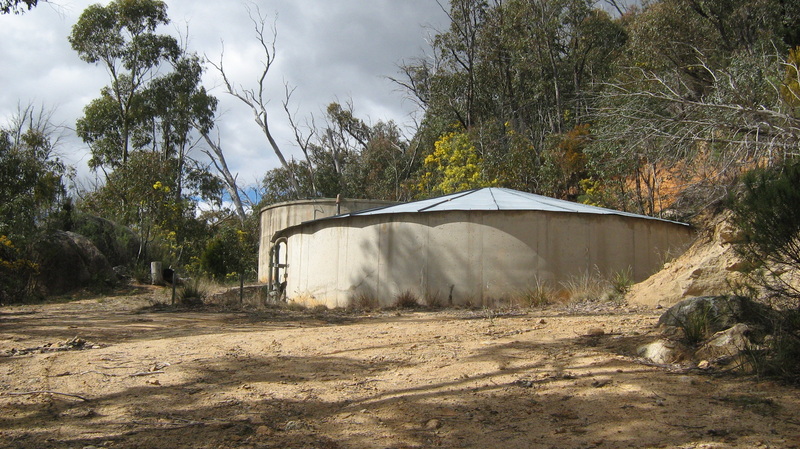 Once at the water tanks (S35.5870° E148.9794°) turn right into the scrub and take a bearing of 136 degrees for a 185 metre ascent over 944 metres taking 55 minutes. This leg has an average gradient of 19 percent. 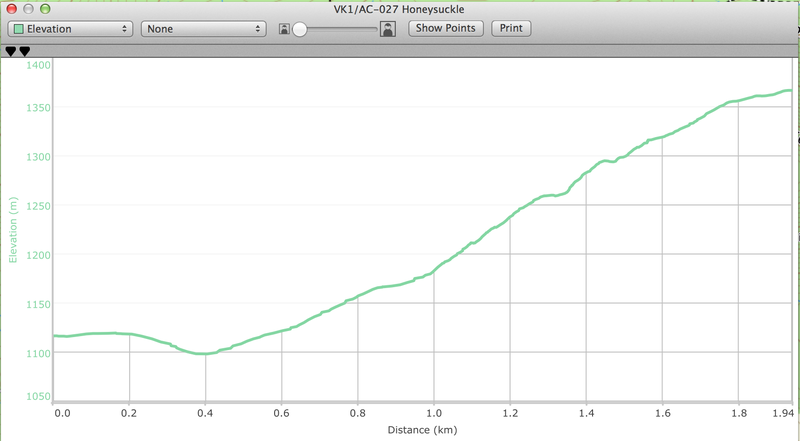 That’s a slope of 11 degrees at a ratio of 1 to 5.1, yep it’s steep. 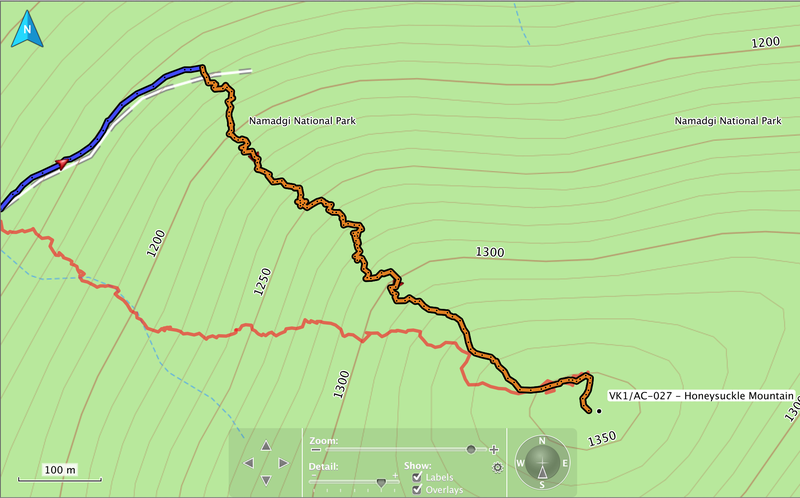 This trip is my fourth visit to Honeysuckle peak. 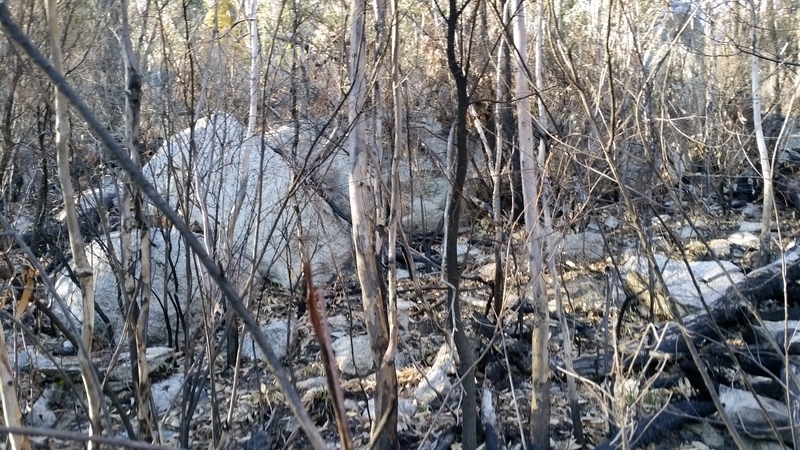 Honeysuckle Creek campground and the surrounding areas of Namadgi National Park were destroyed in the 2003 firestorm. 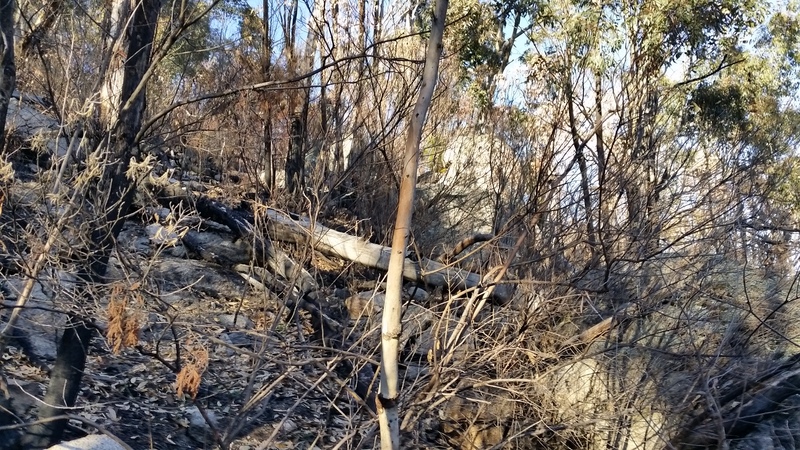 It’s fabulous to see nature establish the eucalyptus forest and native wildlife kangaroos, wallabies and wombats. 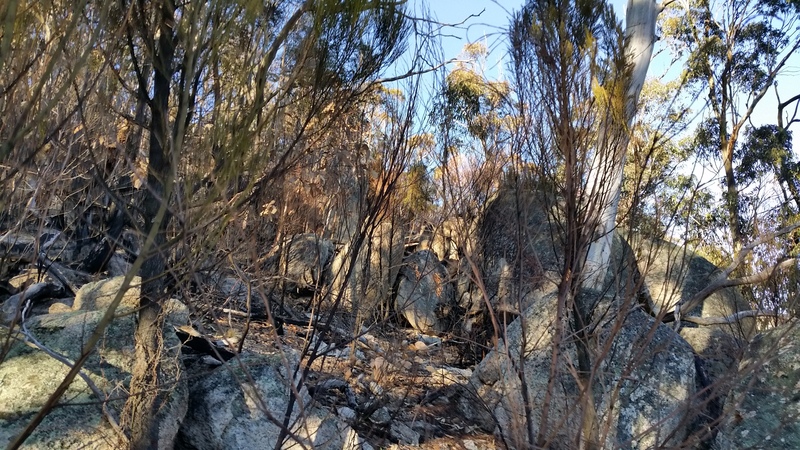 Reptiles native to Namadgi, lizards and snakes are hibernating in the cold weather. 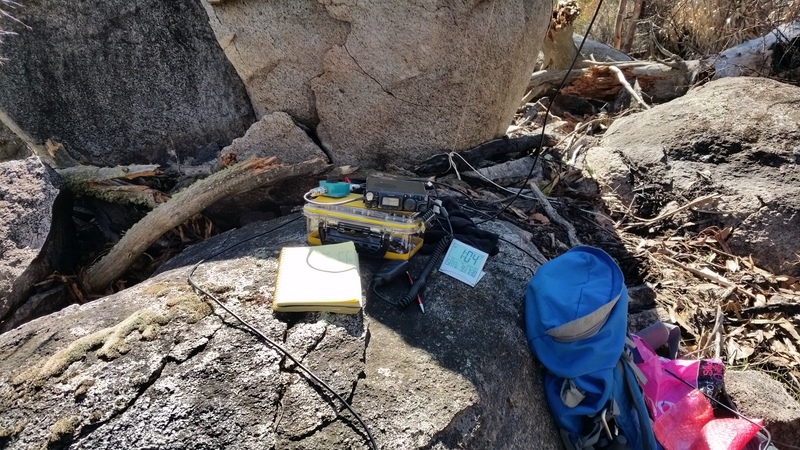 Below is an extract from my SOTA log and a few pics of my SOTA station set up on Honeysuckle Mountain. 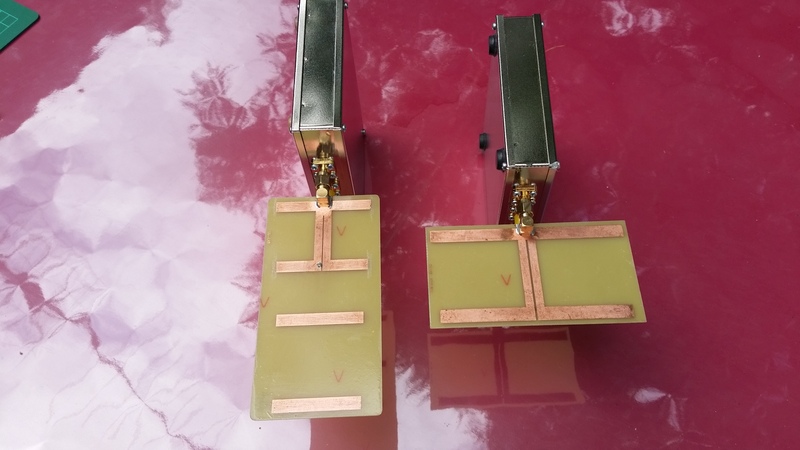 Worked six unique chasers on 70cm, signal reports are well down on last week due to the signal path attenuation and my operation at 5 watts: Chasers included: Rob VK1KW, Matt VK1MA, Dale VK1DSH, Matt VK1MT, Andrew VK1MBE and Al VK1RX. Dale VK1DSH and Matt VK1MT are new chasers on 70cm. 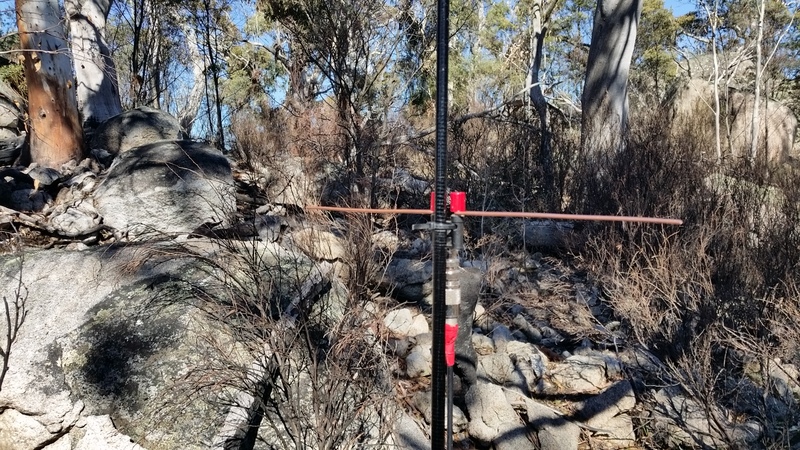 No long distant VHF DX’ers today, Mt Tennent is a major obstacle between Honeysuckle and Canberra suburbs. 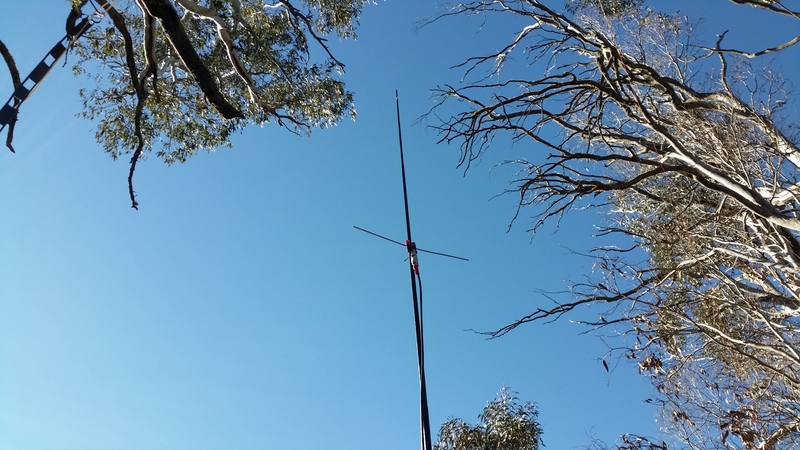 Summit to Summit contacts on 70cm and 2m: Al VK1RX/P and Andrew VK1MBE/P both operating from Booroomba Rocks peak, 3.2 km (1.9 miles) north at a bearing of 8 degrees. a difficult scrub bash to the summit. Appropriate clothing to wear is a long sleeve shirt, denim pants, boots, gaiters, hat and leather gloves. 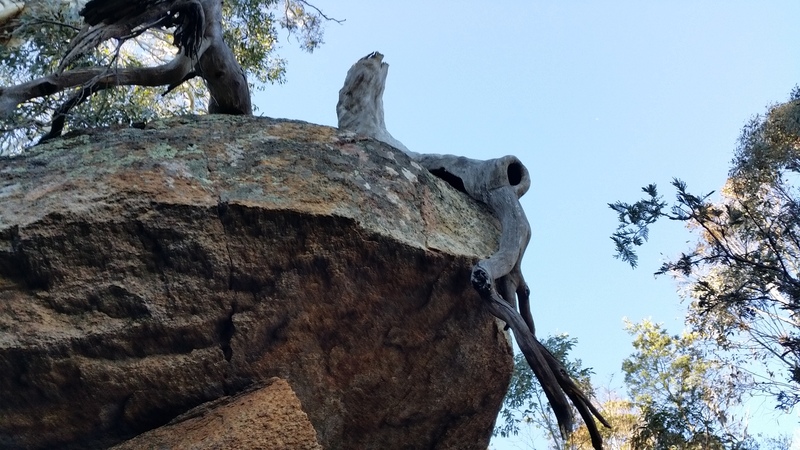 did the tree fall on the granite tor or did it’s roots once grow over the large boulder? 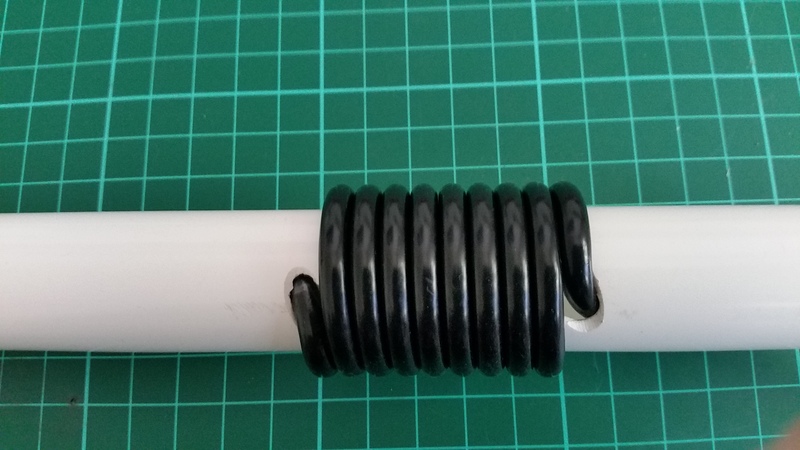 70cm dipole close up. 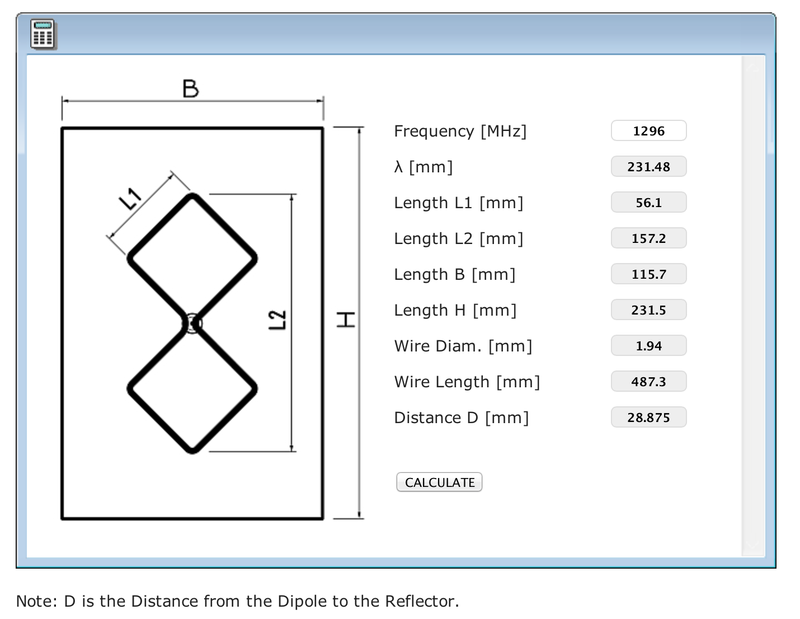 The center feed point is a banana binding post to BNC connector. 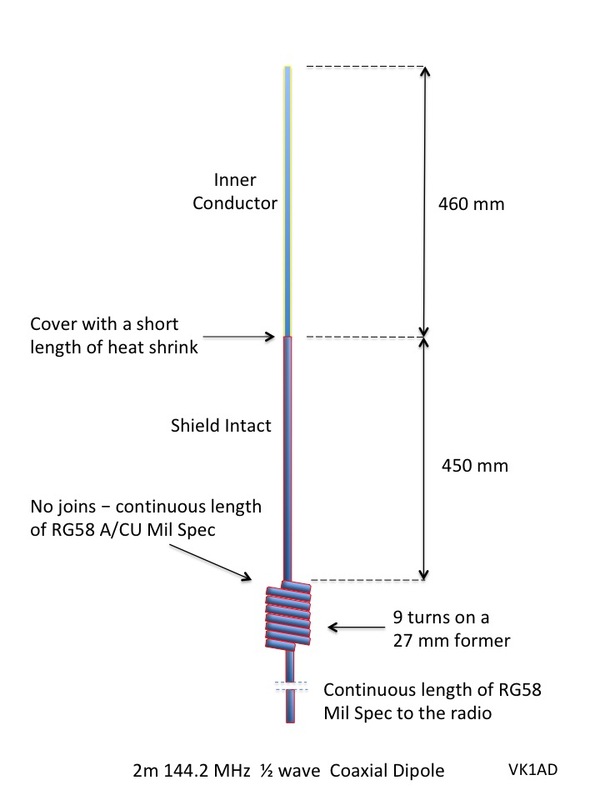 Both 1/4 wave elements are solid 3 mm copper wire. 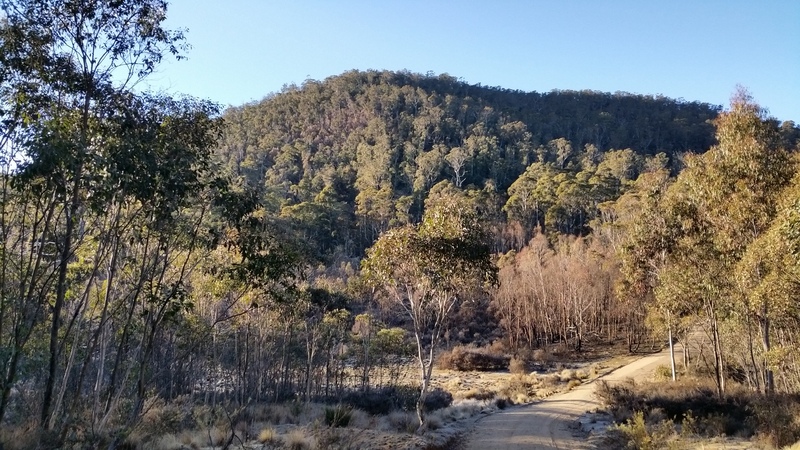 summit surrounds – this environment is known for black, brown and tiger snakes. Good news the snakes are hibernating for winter. RF ‘ground’ is very poor, fragments of granite boulders are layered around the summit in a 100 metre radius. 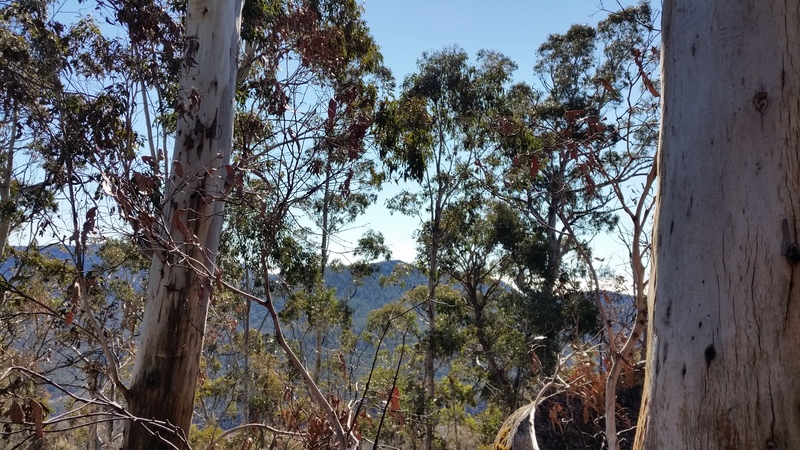 click on the photo to zoom in – In the center of the picture you can see Booroomba Rocks peak VK1/AC-026 (3 km line-of-sight) with a light dusting of snow. 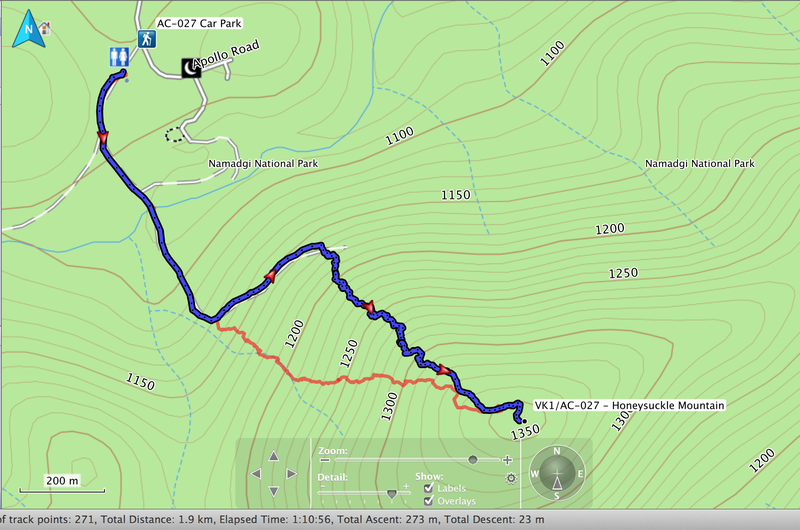 Al VK1RX and Andrew VK1MBE are conducting a join SOTA activation from the peak. 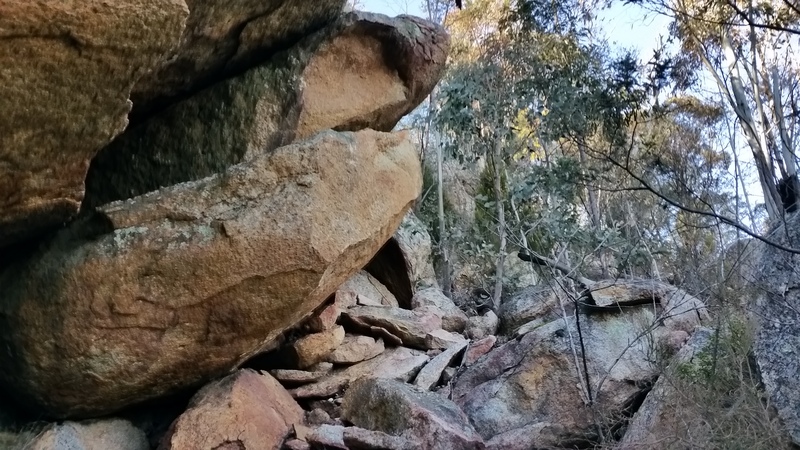 FYI Booroomba Rocks is 17 metres higher (ASL) than Honeysuckle Mt. 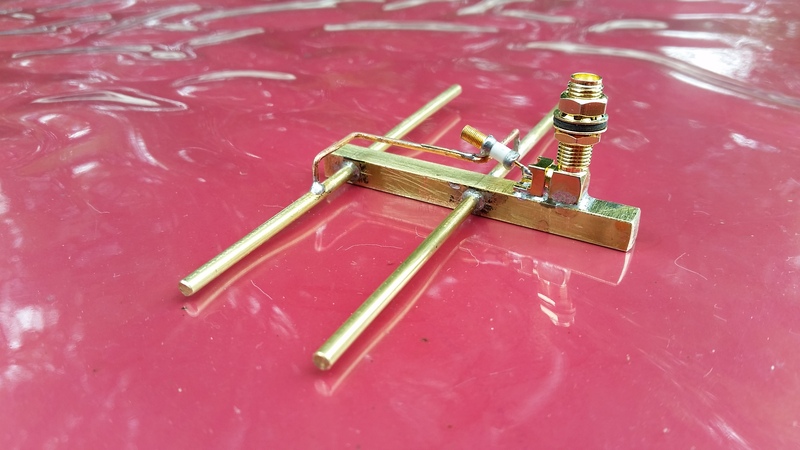 Weak signal HF Summit to Summit contacts on 40m: Tony VK1VIC/2 at Livingstone Hill, Ian VK5CZ at Mount Bryan VK5/SE-001, Glenn VK3YY at Mt Macedon VK3/VC-007 and Al VK1RX/P at Booroomba Rocks peak. No 2m or 70cm distance records set today. All VHF/UHF chasers are within a 50 km radius. 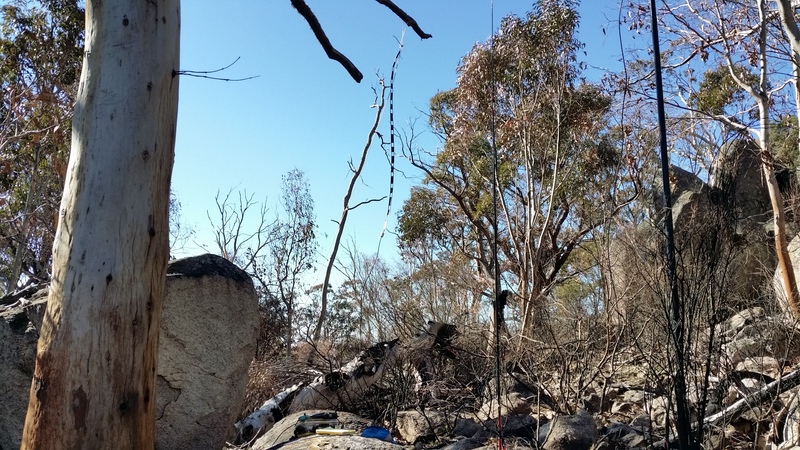 Next activation report – Sunday 7 August 2016, VK1 Winter SOTA QSO from Goorooyarroo (VK1/AC-036) a former WW2 bombing range. Good work Andrew and great write up as usual.